From the nebulous roots and trunk on the tree of life, the three known fundamental domains of life branched out billions of years ago: bacteria, eukaryotes, and archaea. Exactly when that monumental evolutionary divergence occurred has also remained unknown, but a team of scientists has now pinpointed that the three domains were well separated and evolving independently by 2.7 billion years ago. 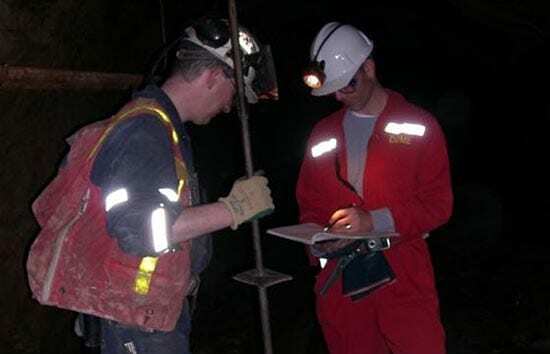 Gregory Ventura (in red suit), now a postdoctoral student at Woods Hole Oceanographic Institution, analyzed ancient shales found in a deep gold mine in Canada. Using a sophisticated, multidimensional gas chromatography device, the researchers could distinguish individual archaea-produced chemical compounds within the complex mixture of molecular fossils. 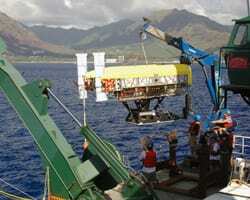 The team reported its findings Sept. 4, 2007, in the Proceedings of the National Academy of Sciences. 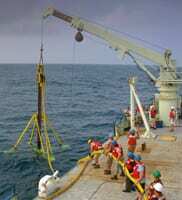 It included Fabien Kenig, Ventura’s Ph.D. advisor at the University of Illinois, Christopher Reddy (WHOI), Glenn Frysinger (U.S. Coast Guard Academy), and Juergen Schieber (Indiana University). (Image courtesy of University of Illinois at Chicago). 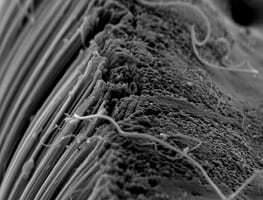 Wonder material? Not so fast. When the National Oceanic and Atmospheric Administration asked WHOI biologist Michael Moore to help investigate mysterious and alarming whale deaths in October 2007, he hastened to the tip of South America with whale expert colleagues Katie Touhey (Cape Cod Stranding Network/International Fund for Animal Welfare) and Bill McLellan (University of North Carolina Wilmington). Southern right whales congregate around the Valdés Peninsula on the remote Patagonian coast of Argentina to calve. This year, reported deaths of young whales ballooned to 83, the highest number since 1971. Samples from dead whales collected and now being tested by scientists may identify the causes. 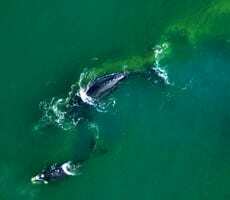 Suspected causes include: toxins from dense algal blooms (the shiny green material in the aerial photo at left by Mariano Sironi, science director of the Instituto de Conservación de Ballenas in Buenos Aires, Argentina); infections in wounds from seagulls, which peck through the whales’ blubber; or other causespossibly in combination.